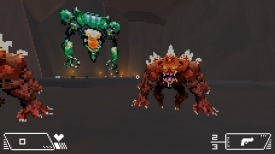 "A Doom inspired low res shoot 'em up"
Reclaim Earth is a low resolution shoot ‘em up very much in the style of Doom, it was made for the low rez game jam earlier this year. It’s the summer of 2019 and a huge meteor shower has covered the earth, not a single continent was spared and when the meteor shower cleared it becomes apparent that aliens are invading the earth. 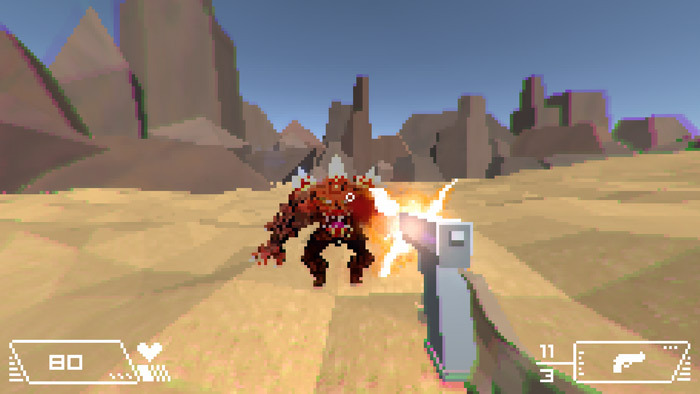 It’s your job to reclaim the earth from the aliens and to do that you must shoot and destroy all the aliens in your way, you start using a simple handgun but other weapons and ammo can be collected as you run across the desert terrain destroying the aliens. 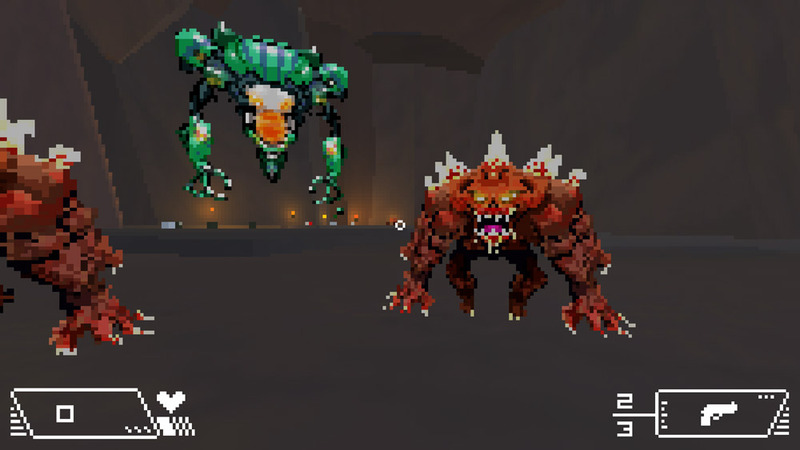 Although the game doesn’t look anything special (bear in mind it was made specifically for the low rez game jam) it is a lot of fun playing one of these mindless shooters, there is not a huge selection of aliens to shoot but they come thick and fast and the game is very action packed. 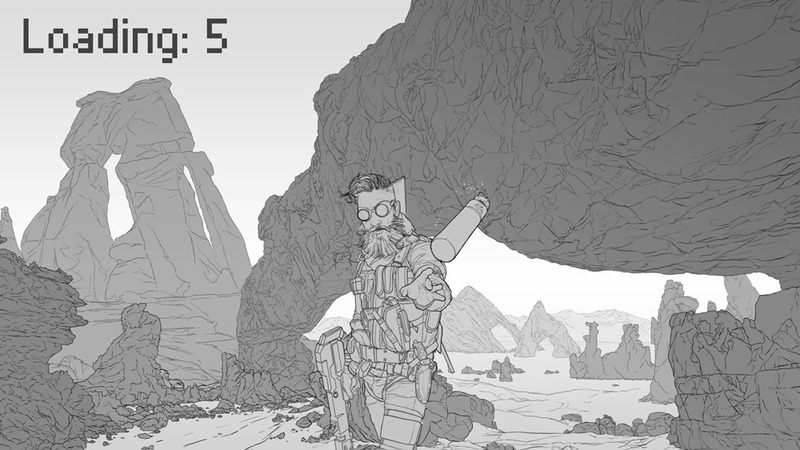 There is not too much to write about a game such as Reclaim Earth but if you are looking for a frantic shooting fun game then you can’t really go wrong with it. You can download Reclaim Earth here for free.